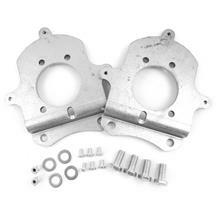 Add 99-04 V6, GT, or Cobra brakes to your 1979-93 Fox Body with a set of Mustang brake caliper brackets. These brake caliper adapter brackets from Latemodel Restoration are an easy way to upgrade your calipers to a newer, better performing caliper without going over your budget. 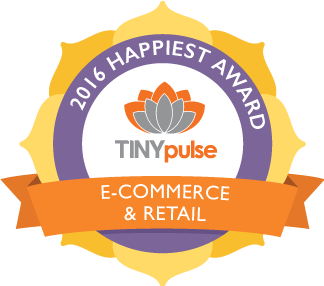 Our kits come with all of the necessary hardware to make the swap as simple as possible. Be sure to check out our calipers and rotors to get everything you need to outfit your kit! Already have most the components for a SN-95 rear disc brare swap but need those all important caliper brackets? Latemodelrestoration.com has got you covered! 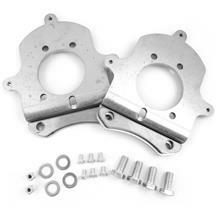 Upgrade to 1994-04 Cobra, GT or V6 brakes with our brake caliper bracket kits. 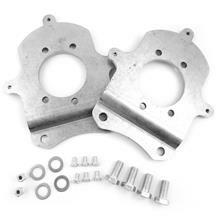 These brackets bolt up to your Fox Body allowing you to use the more efficient 94-04 rotors and calipers and include all of the necessary hardware. These kits fit 1979-1993 Mustangs.